AASLH is proud to announce that we have partnered with Literacy KC for our 2018 Annual Meeting in Kansas City to bring history from across the country to local families through the Let’s Read Family Reading Program. Literacy KC “offers a welcoming community for adults and families to improve literacy skills and enhance quality of life” through their many programs. In addition to promoting reading literacy for both adults and families, Literacy KC is invested in improving the writing, math, and digital literacy of their students. Their teaching model includes instructor-led classes, tutoring by volunteers to help meet individual needs, and student-centered curriculum to address the personal and academic goals of each student. Literacy KC offers programs that include Adult Basic Education (ABE), Career Online High School degrees, digital literacy, and Entry to English (ELL) classes. 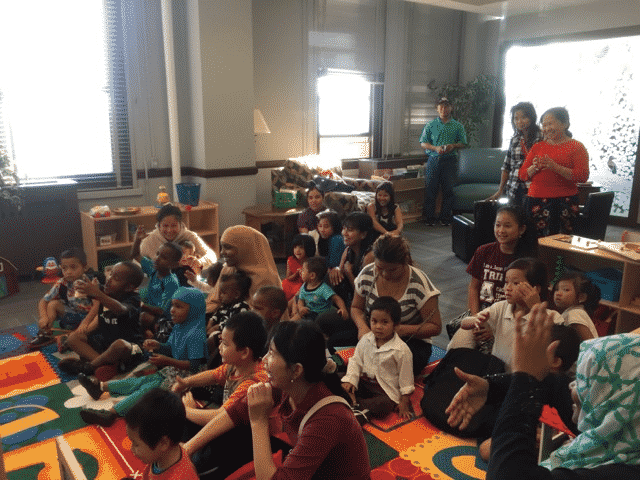 The Let’s Read Family Reading Program “is a multi-generational approach to family reading.” The program inspires a tradition of reading in the home, offering appropriate books, crafts, and reading tips each week. At the end of every session, families leave with a brand new book, strategies for reading in the home, and great memories! In support of this valuable program, AASLH is encouraging attendees of the Annual Meeting to bring a new children’s book representing their community’s history for donation. We here at AASLH support Literacy KC’s mission “to advance literacy within the Kansas City metropolitan area through direct services, advocacy, and collaboration,” especially as pertains to history. Through this partnership, we hope to create ties with the Kansas City community that will last past the dates of the Annual Meeting.